Anna hails from Russia, and in the spring of 2018 she completed her honours degree in the Department of Natural Resource Sciences at TRU. 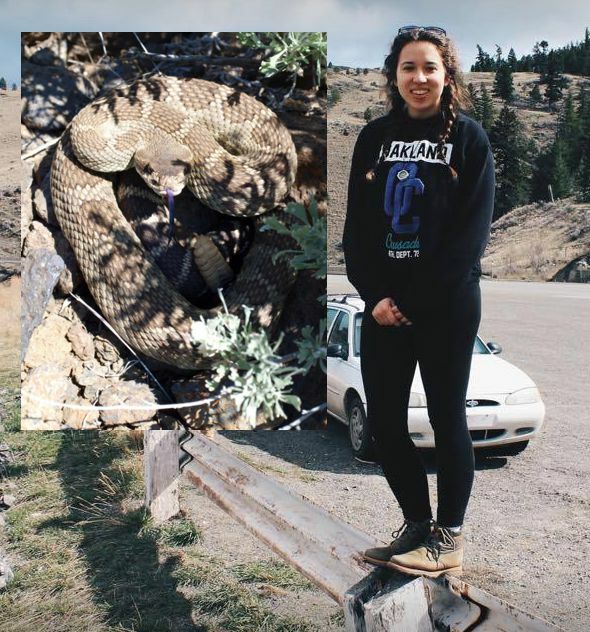 During the summer of 2017, Anna worked with Dana Eye to conduct the first telemetry field study of female rattlesnakes in British Columbia. In particular, she focused on characteristics of these ‘rookery’ sites that the female snakes might be using in the selection process.